Middlewood is a small MPD with a terminus station. 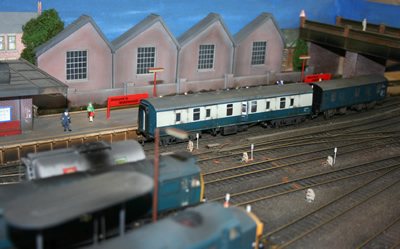 The depot shed is scratch built and the station building is an old Tri-ang structure. The track is Peco code 100 suitably weathered and the layout can represent any Location or Region. 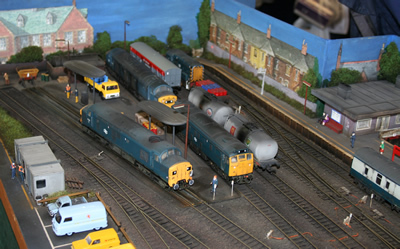 Look out for Loco Classes of 03, 08, 20, 24, 25, 31, 37, 40, 44, 46, 47, 50 and 55, Deltics.